The Volkswagen Tiguan uses a host of electronics to make itself stand out among competing SUVs. 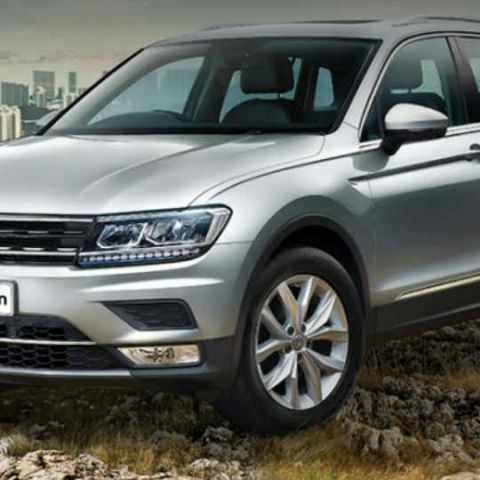 Volkswagen has finally introduced the Tiguan SUV in India. The long wheelbase SUV will be sold in India in two trims - Comfortline and Highline, both with 2-litre diesel engines and 7-speed DSG gearboxes. Prices for the Tiguan are Rs. 27.68 lac for the Comfortline variant, and Rs. 31.04 lac for the Highline variant, and both the variants are available in five colour options - Tungsten Silver, Oryx White, Deep Black, Indium Grey and Atlantic Blue. With a fairly upright stance, the Volkswagen Tiguan itself identifies the Mercedes-Benz GLA and BMW X1 SUVs as its nearest competitions, and will also be up against the likes of Skoda Karoq and Hyundai Santa Fe in India. With technology often being the key differentiating factor in cars nowadays, the new Volkswagen Tiguan features Volkswagen's 4Motion Intelligent All-Wheel Drive, which automatically balances traction, balance, suspension and power distribution. The exterior technology package is fairly exhaustive, with the Tiguan sporting new LED headlamps with LED daytime running lights, cornering lights, memory-stored ORVM adjustment and self-sealing tyres to protect you in case of punctures. You also get a reverse parking camera, and heat-insulated glass for a cooler cabin. Inside, the central infotainment system is powered by the updated SmartLink firmware, that includes App Connect with support for MirrorLink, Android Auto and Apple CarPlay. The infotainment unit is further tied to a multifunction display akin to what we have seen in Volkswagen and Skoda cars, which will provide controls for telephone, audio, trip details and navigation to be controlled from the instrument cluster. The interior also gets LED ambient illumination, and other refinements include multi-way adjusting electric front seats, with memory storage. The five-seater SUV also gets a panoramic sunroof, and the premium appeal is accentuated with chrome trails outside around the window frames, illuminated side skirts, chrome interiors, and roof rails to add to its SUV stance. Volkswagen's Tiguan has famously once won the title of being Europe's safest car, and Volkswagen continues on the same note. 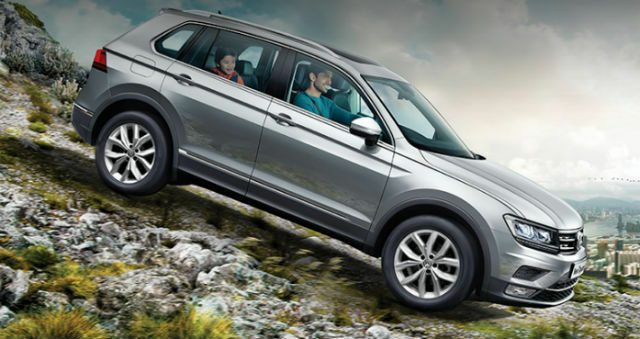 With features like hill hold control, rain-sensing wipers and adaptive headlamps, active hood and deformative side wings for safety make the Tiguan heavily packed with features. The 615-litre boot is large enough for storing ample luggage, which is another factor that Volkswagen will look to cash in on making the Tiguan a popular choice in India.